Simply click on the login image to open store portal. • Can be customized to match the look and feel of your own website. • Customized catalogs are defined for each catalog and pictures for each item. • Price breaks can be defined. • Easy setup for shoppers, providing account sign-in name, password, and shipping and billing information that is retained for repeat orders. • Catalog items allow for selection of sizes and colors, promotional items, and a variety of imprint items such as calendars, postcards, and banners. • Ability to pay by credit card on our secure site. The administration program let you easily enter users and provide them program access rights. This may be done individually by user or by user groups. A hierarchy for manager order approval is also provided. We can set these up initially and provide training for whomever you delegate the authority to. You may order from your custom catalog, from the our generic catalog or from other specialty catalogs. Catalogs may be indexed by item categories for easier access. You may also order imprinted or variably imaged items such as business cards from templates stored online. Depending on their administration privileges, users may ship orders to their cost centers, mass ship to cost centers or ship to any location. This feature provides purchasing personnel the ability to display a “Summary of Items to Reorder” screen into which order quantities may be entered for each item and the order(s) submitted via web directly to us. Your purchasing personnel may click on a “Reorder Notice” button for any item in the Summary of Items to Reorder to generate an EMAIL REORDER NOTICE to departments for notification and authorization. The recipient completes the email reorder notice and submits it to the purchasing department for order finalization. The completed email reorder notice is also stored on-line with the item in the Order Status Report. 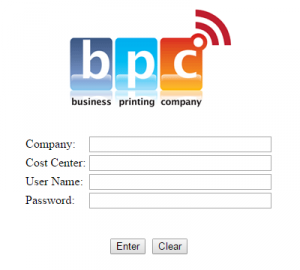 The ordering system makes ordering customized business forms effortless. The first step is for us to create a template using the template design module. Then you enter the custom catalog, select the form, fill in your personal information and place the order. Your-Store then creates print-ready artwork in PDF format. When we receive your order we will generate a P.O. that will be sent via e-mail to the project manager. With one mouse-click, the project manager downloads the PDF artwork and prepares it for production. Custom orders in Your-Store are fast, easy and hassle-free! To schedule a live demo of Your-Stores custom imprinting system, call your consultant directly. Your-Store can be customized with your company logo and graphics. This is one of most popular features. For information about custom graphics, please contact us.